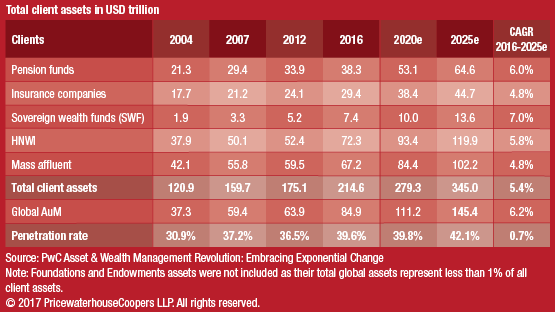 The wealth management trends 2025 is an overview of what the state of the industry will be in 2025. 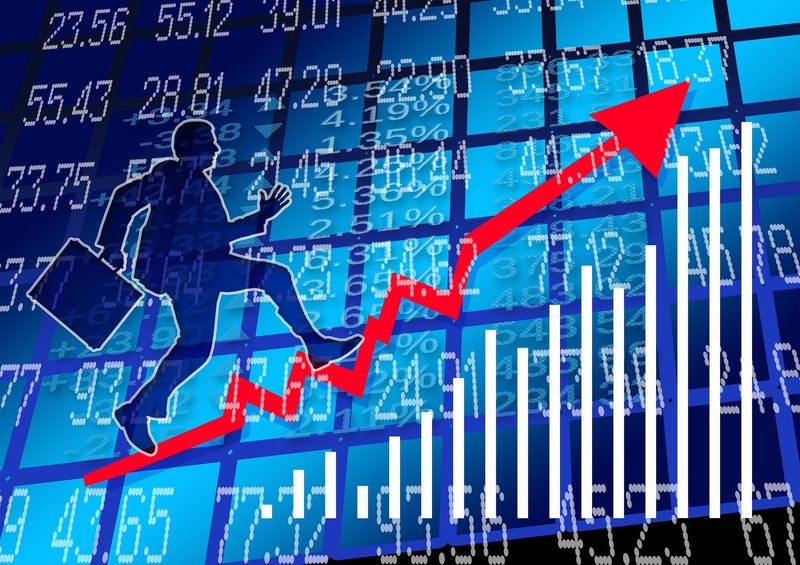 Given the broader macro trends in the world – rise in wealth, the complexity of managing finances, the global nature of the investment opportunities, and technology reducing the friction in conducting the advice business – the wealth management sector will be bigger, better, faster, and more personalized by the year 2025. Despite the predictions of doom and gloom, the discipline of wealth management, particularly at higher net worth, is here to stay, survive and thrive in 2025 and beyond. Let’s dive deeper into the wealth management trends 2025 to review what the nature of the business in a not too distant future. To project trends and shifts into 2025 and beyond, we will define wealth management as it relates to HNW (high net worth) and UHNW (ultra-high net worth) investors and families. While the segmentation of what constitutes the wealthy differ from various vantage points, for the sake of this article, we will stipulate HNW segment is US $5million – $25 million and UHNW segment is $25 million and above. Let’s review the state-of-the-present for these various categories relating to wealth management in 2025. If the projections and trends hold, the center of gravity of wealth management will shift to the Asian region by the year 2025. The continued rise of GDP (Gross Domestic Product) among Asian countries, particularly China and India, and the rise of private wealth will continue to drive asset growth. Capgemini Asia-Pacific Wealth Report estimates the high net worth investable wealth in Asia will grow to about US $40 trillion by 2025. The rise in the Asian wealthy will have tremendous implications for the global private banks and wealth managers. From local language support to tailoring investments to local preferences and managing a global footprint of assets, firms will have to redefine their operating models and organizational structures. Continental Europe will cede ground regarding the percentage of overall wealth. The old alliances and old money will continue to support the traditional business and operating models of Swiss-Germanic, Anglo-Saxon, Nordic, and French wealth centers and institutions. Except for the inheritances, a majority of the new wealth will be in the domains of technology and finance (hedge funds, private equity, and venture capital in particular). As a new wave of technologies come to the forefront, the wealth creation opportunities will grow exponentially minting a new wave of wealthy. For example, the field of artificial intelligence and cognitive technologies will yield more millionaires, billionaires, and possibly a trillionaire or two. The approximately 76 million cohorts of Baby Boomers will continue to retire in bigger waves necessitating a whole new approach to “decumulation planning” or “drawdown planning.” The stratification of wealth among the baby boomers – with a small percentage of haves and a majority of have-nots – will test the tax, regulatory, and social fabric of the societies at large. Gen X (the generation between baby boomers and the much-heralded millennials) will cross the baby boomers as the most significant demographic cohort, and the older members of this cohort will be in their peak earning and wealth accumulation period. (Gen X’ers are those born between 1966 and 1980. By 2025 the oldest of the Millennials will have attained an age of 44 years – a thriving age for wealth accumulation. Also, the inheritance of over US $30 trillion will continue to trickle down to the Millennial generation (both from the older baby boomers as well as the pre-boomer generation.) The ethos and the attitudes millennials have toward money and wealth may catalyze a new way of managing wealth – from discretionary and non-discretionary methods to more a collaboration and co-creation. Unlike baby boomers and Gen X’ers who have to acquire the digital habits (texting, mobile-first, digital-everywhere), the younger of the millennials and the older members of the Gen Z will drive the expectations around customer experience. This digital generation, who came off age as the mobile revolution was underway, have come to expect similar services to what the digital natives offer. These expectations will drive how wealth managers and private banks have to tailor their experiences and service models. Provider proliferation will continue as customers are no longer loyal to one firm to consolidate all their finances. While a few conglomerates will be successful regarding offering a supermarket of financial services, unless they are top of the line, customers are unlikely to buy. A typical wealthy household may have several brokerage accounts, retirement accounts, banking accounts, real assets, and alternative investments spread over multiple providers. This proliferation of financial provider relationships and the readiness to switch service providers will alter the landscape of how wealth managers operate. It may give rise to a new wave of service providers to watch over these different investments spread across multiple custodians. Some elephants will learn to dance: Some of the largest private banks and wealth management firms will learn to adjust to the digital and cognitive age and will continue to accumulate assets from wealthy investors. And many other firms will have to resort to mergers and acquisitions to survive. A few of the Fintech upstarts of today will transform into giants and will acquire the traditional money management firms for scale and physical footprint. While the color of the money remains green, the preferences and philosophy toward wealth vary across the globe. Wealth managers and private bankers will tailor their products and services to meet the cultural and money norms in various regions of the world. Technology advances will allow for personalization of products and services with a multitude of configuration and customization options. For example, while in the OECD nations, a family may prioritize retirement over kids’ education, the opposite may be true in Asia. The wealthy in Asia and the Middle East will look beyond the borders for investment opportunities, much of the European and American wealth may still be concentrated on either side of the Atlantic. Europe will continue to lead the way in instituting investor protections, and the regulations will be burdensome. The U.S. regulatory framework may depend on the power shifts in Washington, D.C. Also, regional powerhouses like China and India will institute more regulations, especially on foreign wealth managers seeking toehold in their respective countries. The multitude of regulatory regimes will increase the cost and the burden of compliance. Private Banks and Wealth managers will adjust to the wealth management landscape in 2025 by adapting their business models – service mode, relationship frameworks, price, et al. For example, one firm may quarterback a clients’ wealth planning but will not be taking a piece of the cake to retain objectivity. (This fee model goes beyond the traditional fee-based service which is still AUM-centric.) Instead, in this case, the client may pay a fixed retainer and not an assets-linked fee. On the other hand, the fee for performance models will permeate the higher end of the wealth market, wherein the success-based compensation will go beyond the traditional bastions of 2%/20% (2 percent administrative fee and 20% performance fee) alternative investment managers. Wealth managers and private banks will be at the forefront of packaging investments and financial planning and tailor them to various demographic and psychographic segments. While the asset management firms see a continued shift toward passive investments, they will also innovate on thematic products (for example such as Motif investing) or indexing on steroids (for example, the smart beta products). The concept of more profound will shift from a pure AUM (Assets under management) to more of AUA (Assets under Advisement). At the ultra-high net worth and mega net worth wealth levels, wealth managers will offer niche services right out of the institutional investment playbook. For example, consolidated portfolio performance analysis and reporting services, including held-away assets. Another example, a mushrooming of pooled family office-type services to meet the needs of many of the wealthy who are not in the stratosphere of wealth to set up their private family offices. With machine learning and cognitive technologies, the cost of personalizing a product will reduce dramatically allowing wealth managers to tailor products way deep into the long tail. Hitherto, the concept of advice meant goal planning and asset allocation, for the most part. By 2025 and beyond, HNW and UHNW advice will transcend the traditional limits and expand into more profound aspects of estate planning, philanthropic planning, concierge services, management of physical assets, and multi-generational planning. The population numbers in India and China will mean that even if a small percentage of the populace is wealthy, that will amount to a substantial number. Serving this local HNW and UHNW segments will allow local players to flourish – due in part to regulatory restrictions on foreign players, the local culture and attitudes, and the momentum. Once these local wealth management giants reach a critical mass, they will be able to establish beachheads in Europe and Asia – through acquisitions or regional outposts. These Asian wealth management firms will initially target the diaspora, which again is very large and vibrant, due to high educational attainment and positions of power in fields such as technology, consulting, and financial services. As the locus of power shifts to Asia, the large private banks and wealth management firms will focus on the emerging wealth in Asia and the middle east. (Of course, some players will focus on the emerging wealth in South America, Oceana, and Africa, but a majority of the big players are licking their chops to venture into the wild territories of the middle east, far east, and South Asia. Whether it happens in robo advisory services, hybrid platforms, or financial planning – only time will tell. The mergers and acquisitions will span both the traditional mainline wealth managers and private banks as well as the Fintech startups. By 2025, many of the large financial conglomerates and the wirehouses will have acquired many Fintech players for technology, talent, and as an insurance policy. The also-ran companies in the wealth management space will also need to merge with other firms to justify their existence as their time as standalone firms will no longer be viable by 2025. Firms will have to straddle three significant regulation zones: While every local jurisdiction will have nuances, wealth firms will need to primarily meet the regulatory mandates of three zones – the emerging Asian markets, the Eurozone, and the U.S. Customer data – profiles, transactions, holdings, investment preferences, risk profile et al. will be the new frontier for regulation. Continuing the trend of GDPR (Global Data Protection Regulation) in Europe, sovereigns the world over will try to place limits on access and leverage of data. The data governance regulations will primarily focus on investor well-being, but as many governments’ efforts go, it could become a double-edged sword limiting companies ability to harness data for providing better, faster, and timely advice. As digital advice dominates, and cloud becomes the de facto mode of service delivery, firms will have to pay significant attention to the cyber threats and instill adequate safeguards. The clients in 2025 demand, or instead expect, the advice offerings and investments be available online and be accessible from every device at any time. In addition to human advisors and call center personnel, clients will interact with artificial agents for portfolio and financial information. And beyond traditional venues, clients want access to financial information from multiple places (for example social networks) and a multitude of devices (for example, Google Home or Alexa). With ever-increasing sophistication of hackers and bad actors, wealth firms will spend a chunk on cybersecurity. In addition to traditional encryption methods, companies may resort to using machine learning to break up the information into disparate pieces and assemble it just in time for the delivery to the end clients. From today’s world where artificial intelligence and cognitive technologies are at a nascent stage, in 2025 AI, ML, RPA, Deep learning, Computer Vision, and related technologies will become mainstream and a part of the fabric of the organizations’ technology landscape. Conversational agents, natural language processing, natural language generation will help firms deal with the treasure trove of structured and unstructured data and leverage in day-to-day operations including generating and providing real-time advice that considers both internal and external data, as well as life events and macro drivers. For firms that leverage technologies, particularly open source, it will be easier to level the playing field, even if there is a vast difference in resources that can be allocated to technology development. On the other hand, will come to the fore as expertise becomes scarce and technological obsolescence rises, technology can also become a huge barrier to entry. This technology dichotomy will come to define the winners and losers of the cognitive era. Many traditional wealth management firms are a part of more massive conglomerates and have been put together through both organic and inorganic growth. For those older firms from the era of ticker tapes, the paper confirms, and pushing stock trades by phone; it has been a long and hard struggle to be as nimble as a digital native with no legacy infrastructure and burdensome processes. For firms that spend a significant amount of their operating budget in keeping the lights on, it is difficult to allocate adequate budgets to innovative discretionary projects. Often, the burden of antiquated systems makes any new endeavors akin to putting lipstick on a pig. Some firms have embraced technology to the point where they can be defined as “technology firms managing money.” Even for these firms, meeting the experience expectations of digitally savvy customers has been a struggle. Irrespective of which of the trends will become a reality in 2025, wealth managers and private bankers must focus on getting ready for the brave new world. So, what do you think of the wealth management trends 2025? Do you think something else will become a de facto norm in 2025 that we have not explored here? Please share your ideas on where wealth management is heading in 2025. How can banks compete against Fintechs?